How To Shuffle Cards Like a Casino Dealer - Casino Answers! A well shuffled deck is the key to randomness in your poker game. If you don’t know how to properly shuffle, there is a strong chance that you will see the same hands coming up time and time again. That’s no good and it takes out a lot of the randomness that makes poker such a great game. Learning to shuffle is key to a good home game and can make your game feel like your in a casino. If you want to do that, who better to copy than the dealer at the casino? Casino dealer shuffles are an excellent way to ensure a random shuffle and prevent people from peaking at cards on the bottom of the deck. To do a casino dealer shuffle, you need a “cut card” (typically a yellow piece of plastic, but a credit card works great in a pinch). First, “wash” the cards on the table. Spread the cards out and shuffle them like dominoes to mix the cards up. Second, stack the cards up, cut the deck in half, and shuffle like normal. Repeat this twice more. Third, place the cut card on the table. Then, cut the deck onto the cut card. Stack up the deck again and begin to deal. 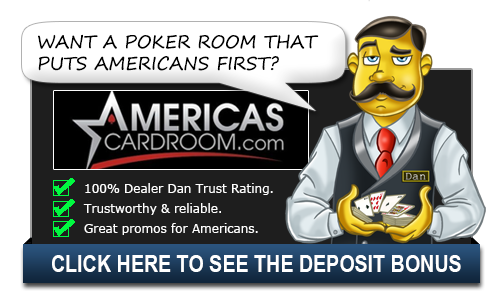 The cut card keeps anyone from looking at the bottom card as you deal, and it prevents unscrupulous dealers from dealing from the bottom of the deck in order to rig the game. That’s all there is to it. A wash, three shuffles, and a cut create a completely random deck of cards. However, some physicists who devote to their lives to these things would tell you that it is actually seven random rifle shuffles that would create a completely random deck. Any additional shuffle beyond seven would not create a significant additional amount of randomness. That said, if it’s good enough for casinos it’s good enough for your home game. There are many great YouTube videos out there than can show you how to shuffle as well. These video content creators are experts in the field and offer step by step training to get you to learn to deal. You watch these a few times to get the hang of it and continue your practice. What are the different types of shuffles? The Overhand Shuffle – The most basic shuffle, the one used by most people. The Hindu Shuffle – A quick shuffle that is preferred by many. The Weave Shuffle – A simple shuffle with a bit more randomness to it. The Rifle Shuffle – What is used by casino dealers. The Table Rifle Shuffle – An easier version of the rifle shuffle. Running Cuts – Also known as the strip shuffle. A typical casino will perform a “wash” with the start of a new deck. This is when you lay all the cards on the table and just move them around in a wash. The dealer will then do three rifle shuffles, a strip shuffle and another rifle shuffled followed by the cut.